Indian food has long been an English favorite, harking back to India’s days as the prized British colony. This a delicious one pot meal for family or guests. It has the distinction of having been served in 2nd class on the ill fated voyage of Titanic on April 12, 1912. Indian food has long been an English favorite, harking back to India's days as the prized British colony. This a delicious one pot meal for family or guests. It has the distinction of having been served in 2nd class on the ill fated voyage of Titanic on April 12, 1912. Using fingers, remove skin from the chicken; pat dry and cut into equal sized pieces. Save the back for your soup pot. Using zester, remove zest from lime and chop finely; juice lime. In bowl, combine lime, zest, lime juice, ginger, and garlic; add in chicken, turning to coat well. Let stand for 30 min. In a large, deep, non-stick skillet, heat 1 tablespoon of oil over medium-high heat. Add in chicken pieces and marinade; cook for ten minutes and well colored on all sides. 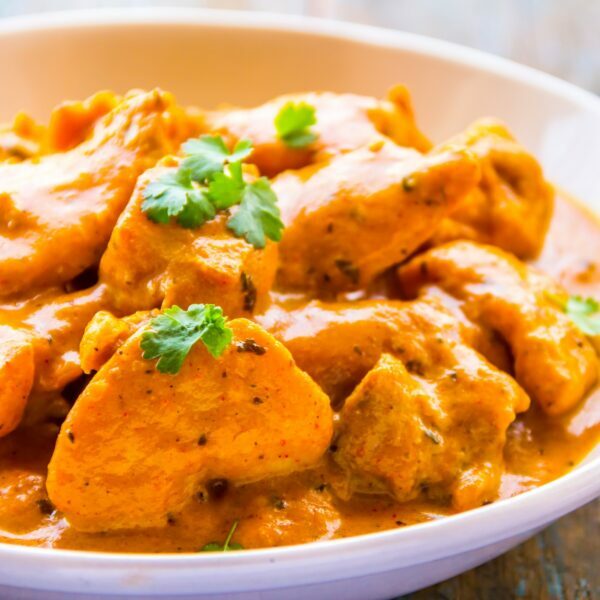 Remove chicken from pan; reduce heat to medium and stir in remaining oil and curry powder and cook, stirring often, for three minutes. Stir in onion and honey; continue to cook, stirring occasionally for 3 min. Stir in rice and cook for 3 min or until the rice is slightly browned; stir in water, salt, and raisins. Nestle chicken into rice. Bring to boil; cover with a tight-fitting lid and reduce heat to low. Simmer for 25 to 30 min or until the juices run clear when a chicken thigh is pierced. Transfer to heated platter; garnish with cilantro or green onions.